Three officers from the Nepalese Embassy in London visited HQBG on Friday to help members of the Brigade with their applications for Machine Readable Passports. 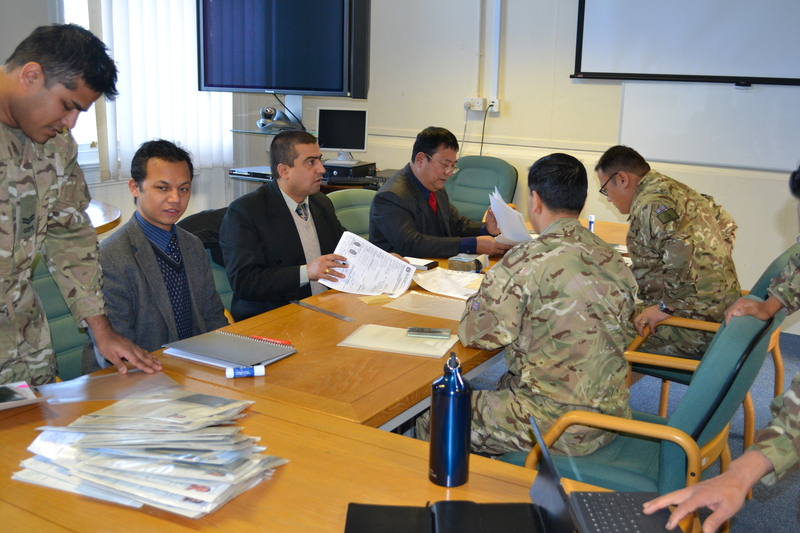 The consular spent the day with staff from HQBG checking dozens of passport applications and ensuring that any errors were corrected prior to submission to the passport agency. All hand written passports should be renewed to Machine Readable Passports (MRP) by 24 November 2015. If the applicant possesses a hand written passport, he/she can apply for an MRP any time before the expiry date. This is the first time that the Brigade has invited the Embassy to assist with the MRP process, and demonstrates the close links between the two organisations.